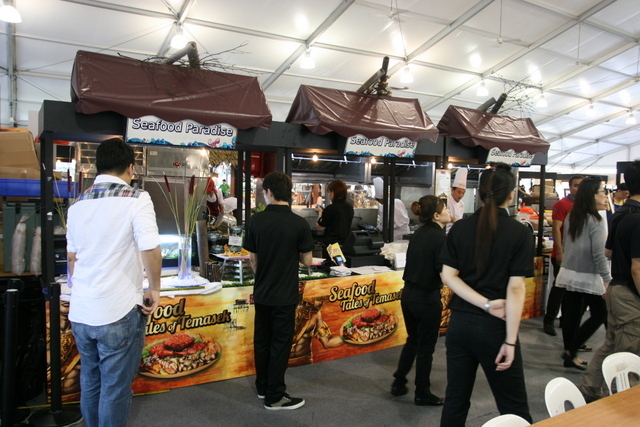 The Singapore Food Festival 2012 kicked off last night with a seafood theme. This year the Food Festival Village is held at the Marina Bay Waterfront Promenade (see map) instead of the Clarke Quay Read Bridge where it's been for the past few years. For ten days from 13 July to 22 July, you'll get to sample fare from up to 50 vendors in one place. The good thing is - there's lots more seating space (up to three times more, I hear). So it was kind odd not having to jostle and fight for seats like in the previous years. But in a good way, obviously. It looks like more restaurants participating this year, beyond just street food vendors - there's HY California (above), Covelli Italian Restaurant and Wine Bar, Seafood Paradise, Moi Lum, Al Qasr, and maybe a couple more. 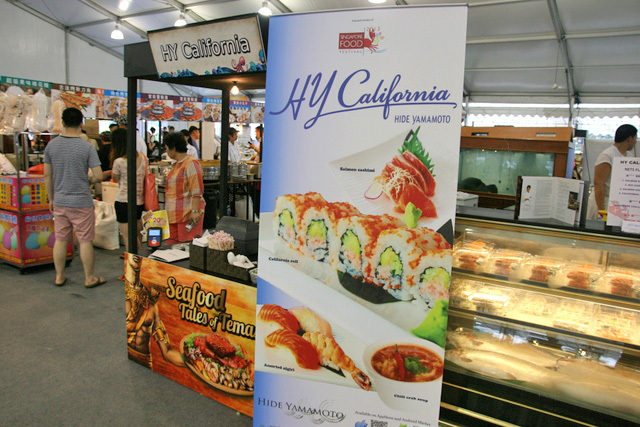 We were very happy to see Executive Chef Sho Naganuma at the HY California booth. He seems to remember us from his DBS Masterclass! You know I love his chawan mushi (recipe in the post) - still the best I've ever had. Here's Keropokman's photo of Sho (right). The sushi here is probably one of the better value items at the festival village, because even some hawker fare is going for S$8. Stuff seems more expensive this year, but the NETS Flashpay card which they promote onsite will net you a 20 per cent discount. 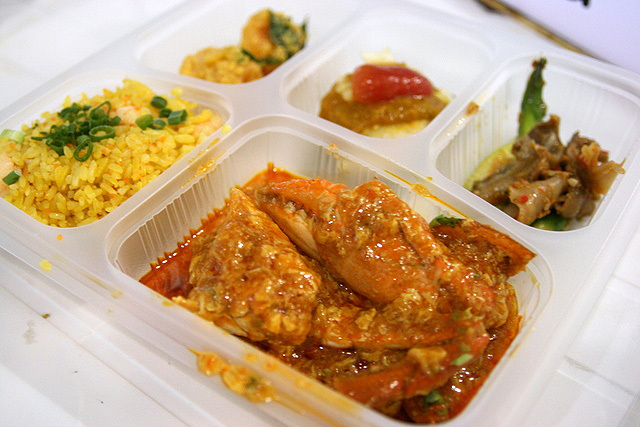 This year the SFF has a special seafood platter (S$36.90+) created by Seafood Paradise. You get Chilli Crab / Signature Creamy Butter Crab, Stir-fried Live Geoduck with Asparagus in XO Sauce, Crisp-fried Prawns tossed with Salted Egg Yolk, Deep-fried Coral Trout in Nyonya Style and Supreme Seafood Fried Rice. It's nice to be able to sample their specialties this way, but I'd recommend going to Seafood Paradise itself with a group of friends to have the full portions! 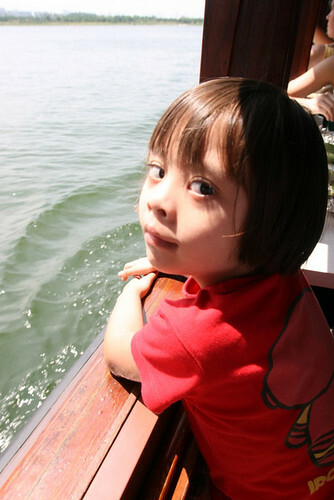 Nadine and I also went for the Tiffin Cruise (S$68+) on a bumboat. This is one of the events that's remained unchanged over the years, but I don't know if it might be back next year. 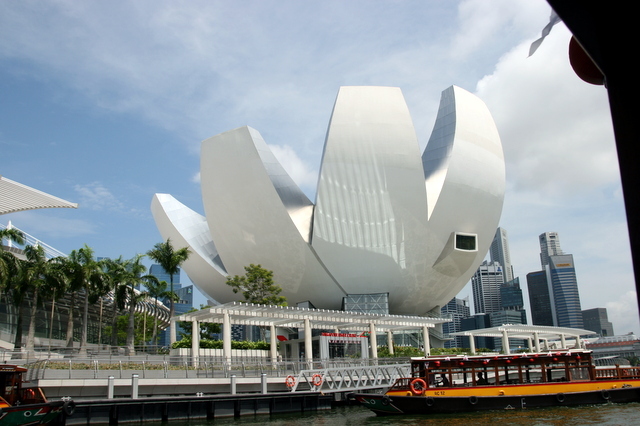 The leisurely 60-min cruise takes you around Marina Bay and turns back near Liang Court/Clarke Quay. Along the way, you get to snack on seafood treats like sambal prawns, seafood fried rice, calamari, mussels and fried fish. 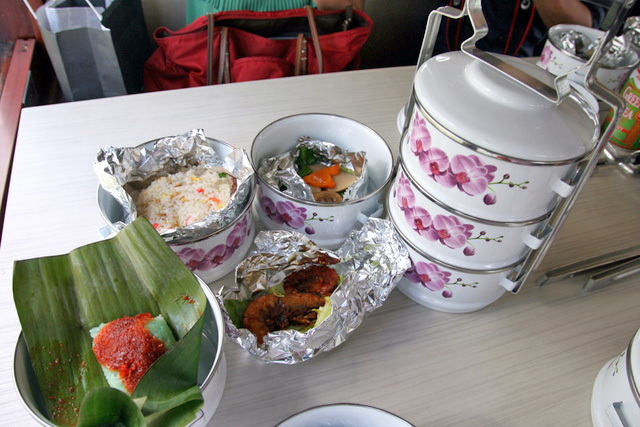 Honestly, the food is not the highlight, but the tiffin carrier that you get to keep is! These old-school metal tiffin carriers are so hard to come by these days, and the one they give is so pretty. 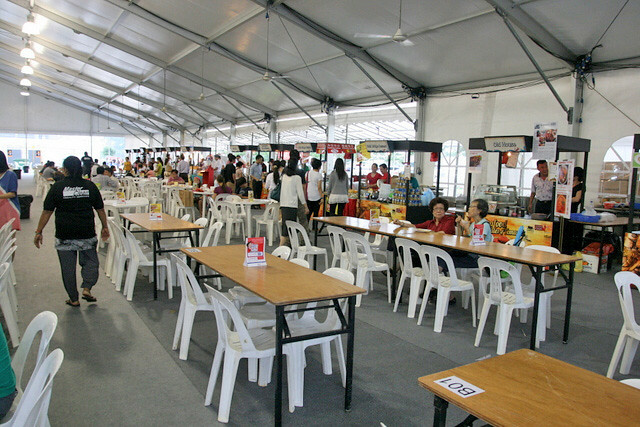 There are many more activities you can check out for the food festival at its website. A Jurong Fishery visit, a slew of events at Sentosa Harbourfront, cooking masterclasses, workshops, food trails, restaurant and dining promotions. If you love seafood, this is definitely a month of celebration for you.